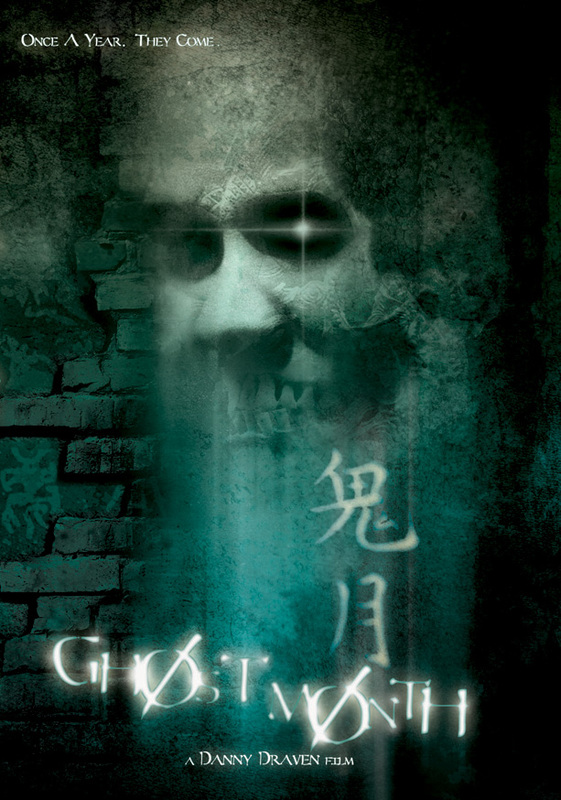 Protect Yourself from the Ill Effects of the 2014 Hungry Ghost Month and Mercury Retrograde | Sana Ako si Ricky Lee! In my previous post – WHAT EVERYONE NEEDS TO KNOW ABOUT THE 2014 HUNGRY GHOST MONTH AND MERCURY RETROGRADE, I talked about how the combined effect of the annual and monthly flying stars and of the annual and monthly Bazi or Paht Chee are making this year’s Hungry Ghost Month so much stronger that its effects will be felt 15 days before the first day of the Hungry Ghost month which is on July 27, 2014 up to 15 days after its supposed last day which is August 24, 2014. This phenomenon is made worse with the last Mercury Retrograde periods of the year sandwiching this year’s Hungry Ghost month, leaving us with about 5 challenging months in succession. At the start of the year, a lot of Feng Shui writers and consultants talked about how the first part of the year will show an abundance of luck for most people, and how towards the end of the year it will get depleted. This was obvious on the year’s Paht Chee chart; but nowhere was a definitive explanation of the cause discussed. It is actually only by accident that I came across a possible explanation. I believe the effects of both Mercury Retrograde and the particularly strong Hungry Ghost Month of the year occurring in succession explains why the energy of the year gets depleted towards the end of the year. 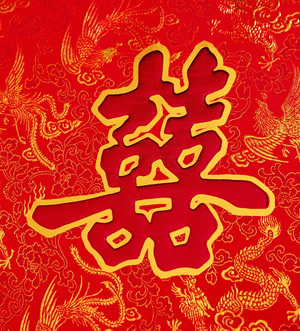 As mentioned in my previous blog post, as I wanted to validate my reading of the year’s annual and monthly flying stars and Paht Chee charts especially in relation to the year’s Hungry Ghost Month, I decided to call first my Feng Shui teacher in Hong Kong, and my Guru Lama in Singapore. Both of them confirmed the said phenomenon. After writing the previous blog post, and just before writing this one, I decided to call another Feng Shui teacher from Beijing, China, and he also confirmed the said phenomenon. Lastly, I was also able to discuss the matter with other Feng Shui consultants, who likewise acknowledged the phenomenon. 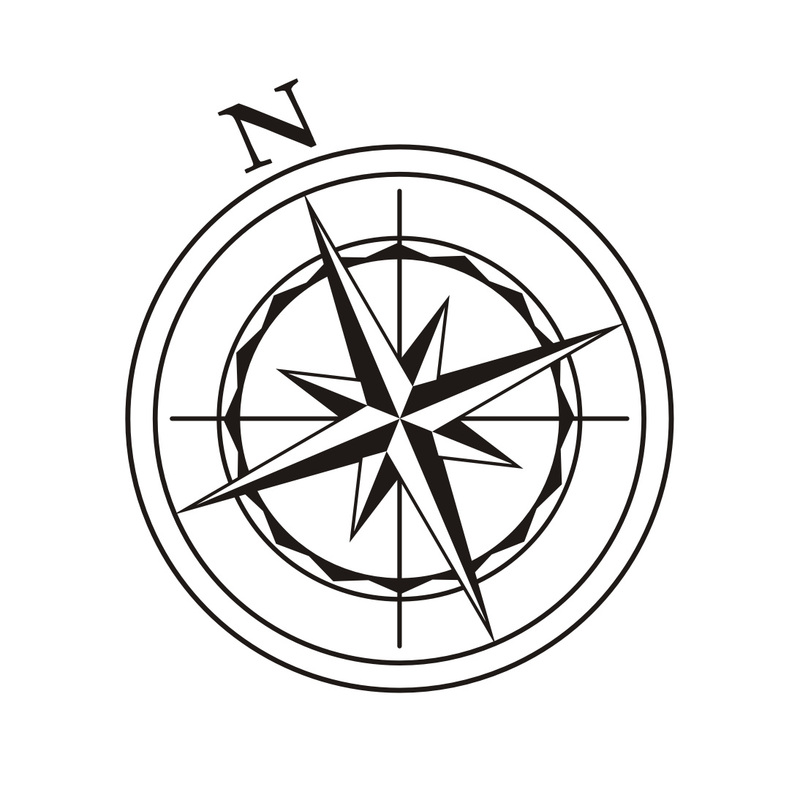 Certain experts, however, are not sure whether they will be discussing it through any of their avenues because of two reasons: (1) they are not sure whether the effects are in fact going to be really bad (this goes into interpretations of the resulting calculations) and (2) if in fact the effects will be very bad, they are not sure whether remedies exist to successfully counter the effects. In the course of writing this entry, I decided to call another Feng Shui teacher. This particular Feng Shui teacher practices Transcendental Feng Shui, which is also known as Spiritual or Third Dimension Feng Shui. Like the other Feng Shui experts that I consulted, he acknowledges the said phenomenon and like my Guru Lama he believes that we can do something about it. Before I go into discussing how one can protect oneself from this phenomenon, let me explain that the recommendations below are an aggregation of the different recommendations that I gathered from my Guru Lama, Feng Shui teachers, and a few of my own recommendations based on my own experience. Also, it would be of course best if you follow all the recommendations; and, needless to state, following some is better than following none of them. I would also like to point out that it was a reader who since then has become a good friend, DU, who pointed out this direction of how to remedy this phenomenon. Kuan Yin pendant, preferably with a sutra. 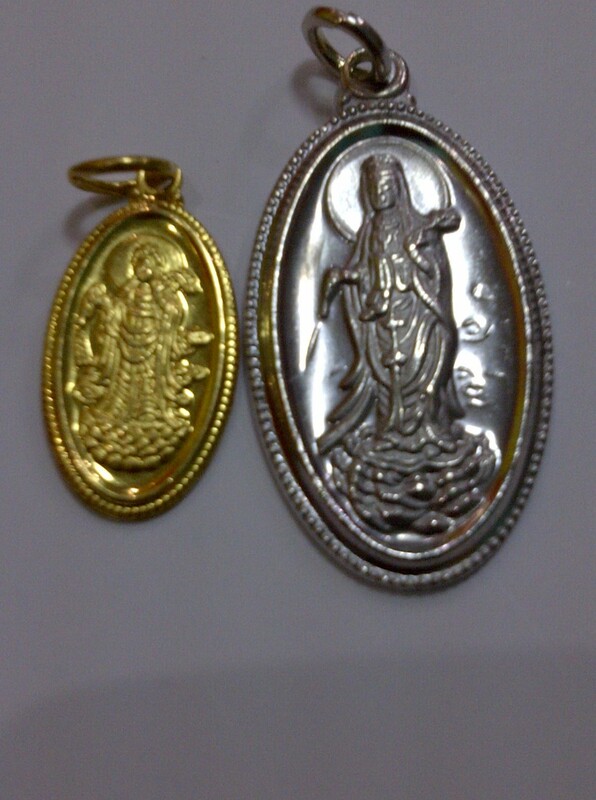 Back image of the Kuan Yin pendant. 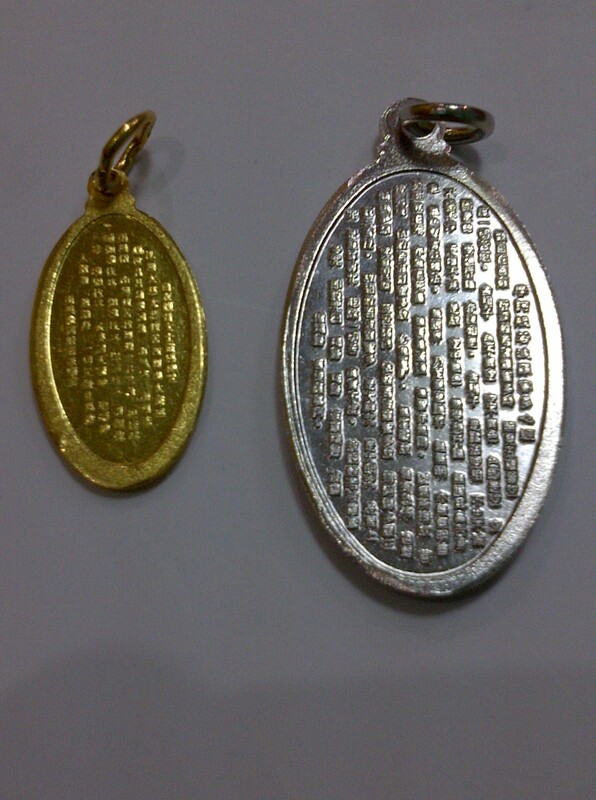 This is the reason why I love these pendants is because they have very nicely crafted image of Kuan Yin pouring healing and auspicious from her magical vase, and at the back it has the Heart Sutra. 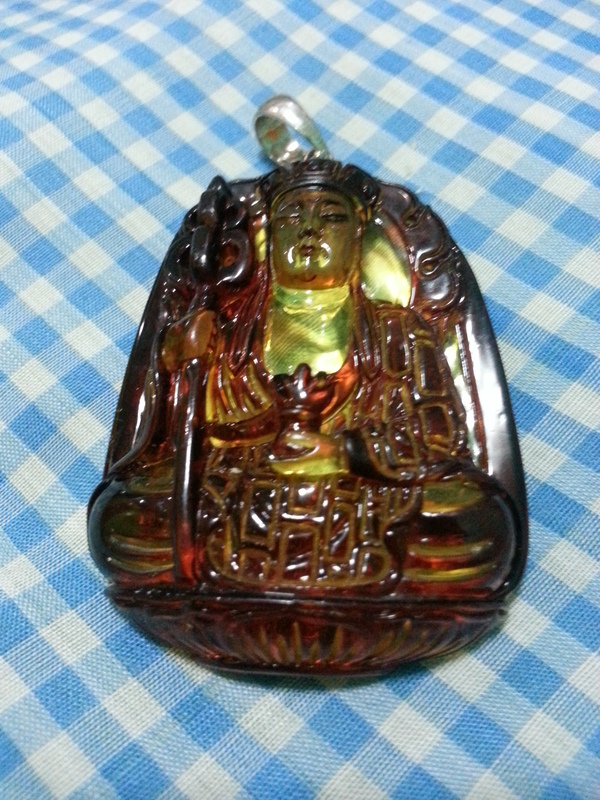 Unfortunately, it is quite difficult to look for this kind of Kuan Yin pendant. 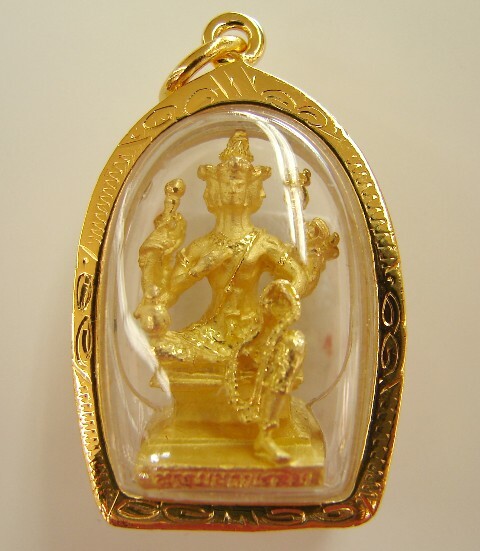 Chong Kwei (also spelled as Chung Kwei) or Mahakala (a wrathful image of Avalokitesvara or Kuan Yin) pendant. To be honest I’ve been looking for a Mahakala pendant and I’m unable to find one. For this year, according to my Guru Lama, Mahakala is preferred but no one can deny the efficacy of a Chong Kwei pendant during the Hungry Ghost month. 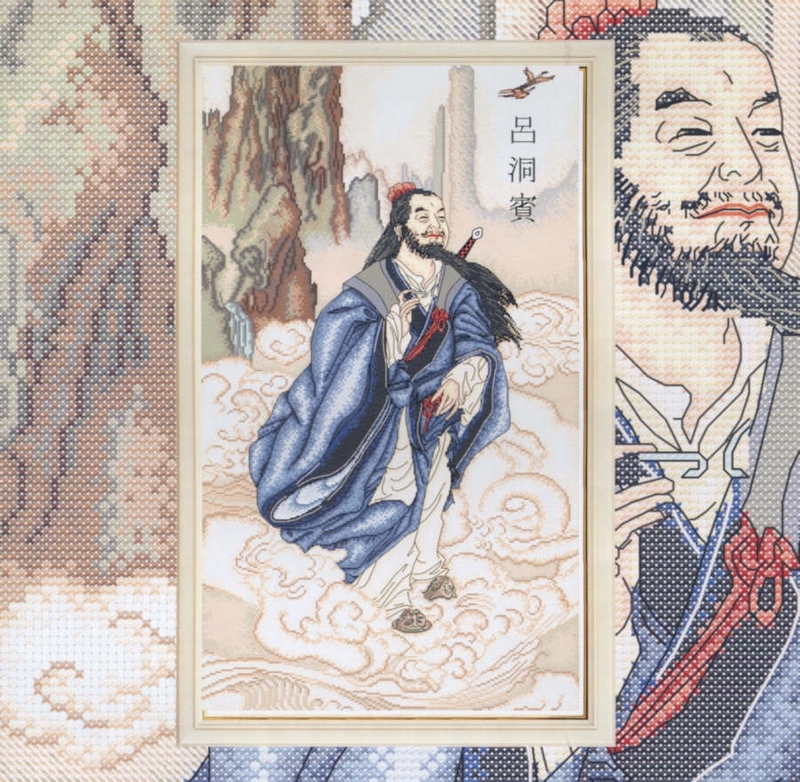 Please take into consideration that he may be partial to Mahakala because he is a Buddhist Lama and Chong Kwei is of a Taoist lineage. Your Chong Kwei should be made of a black stone or gold. 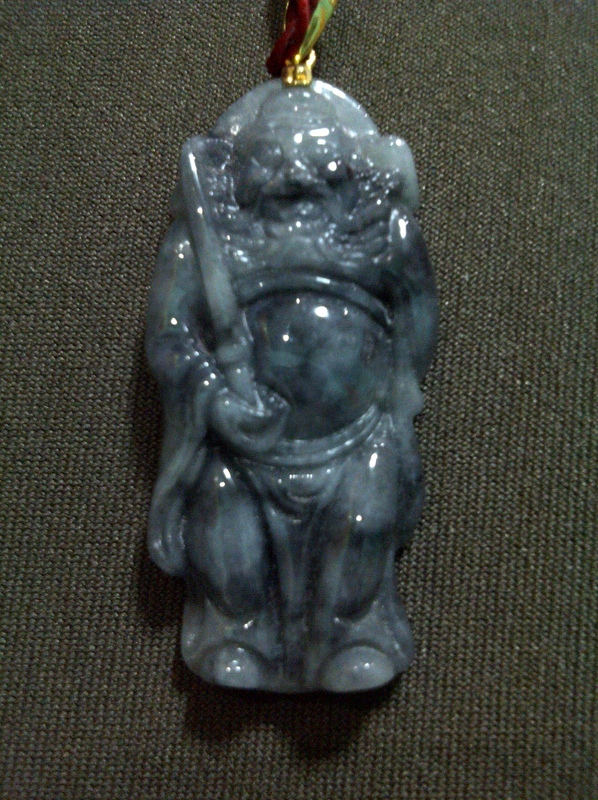 This is a rare black jade pendant image of Chung Kwei. Was fortunate enough to find one in Beijing, China in a small shop. Remember in choosing a Chong Kwei or Chung Kwei or Zhung Kwei or Zhong Kwei, always get a something that’s made of a black stone or gold. Otherwise, it might not be very effective. Kalachakra pendant, preferably made of gold or jade or clear quartz. Wear or carry a Prayer Wheel and spin it as often as you can. Medicine Buddha pendant or simply carry a Medicine Buddha sutra. 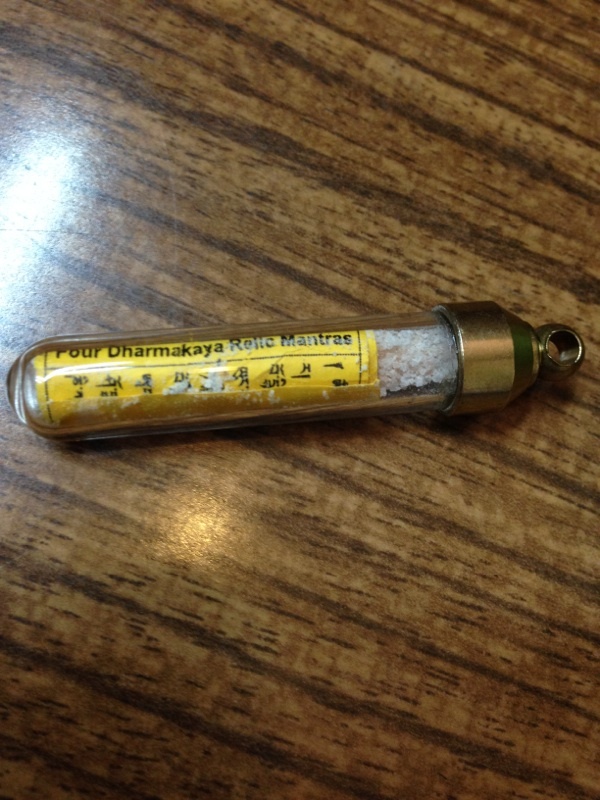 Always carry a Four Dharmakaya Relic Mantras or Lama Atisha Amulet with you at all times. Figurine of Mahakala or Chong Kwei. 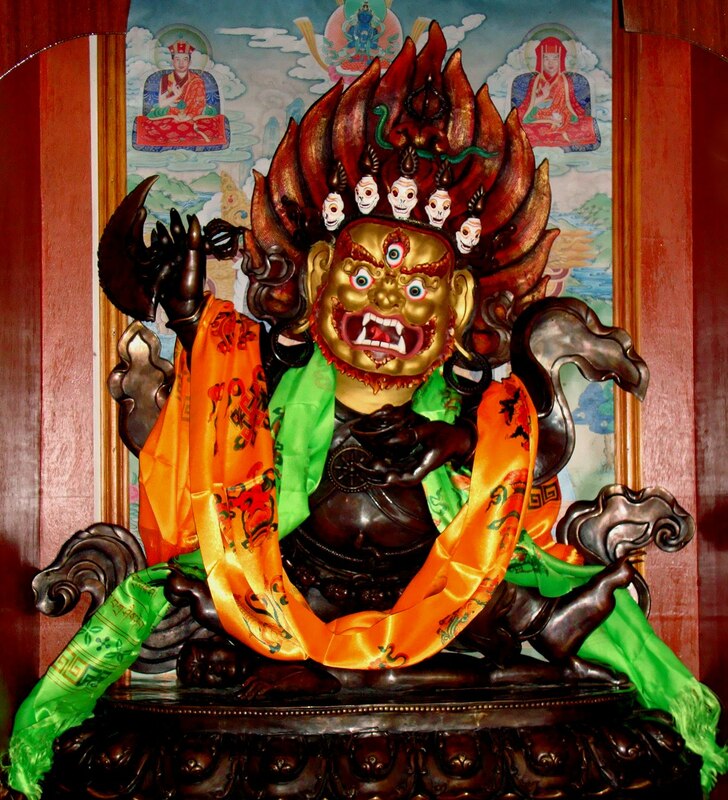 This is an image of a Mahakala, the wrathful form of Avalokitesvara or Kuan Yin. 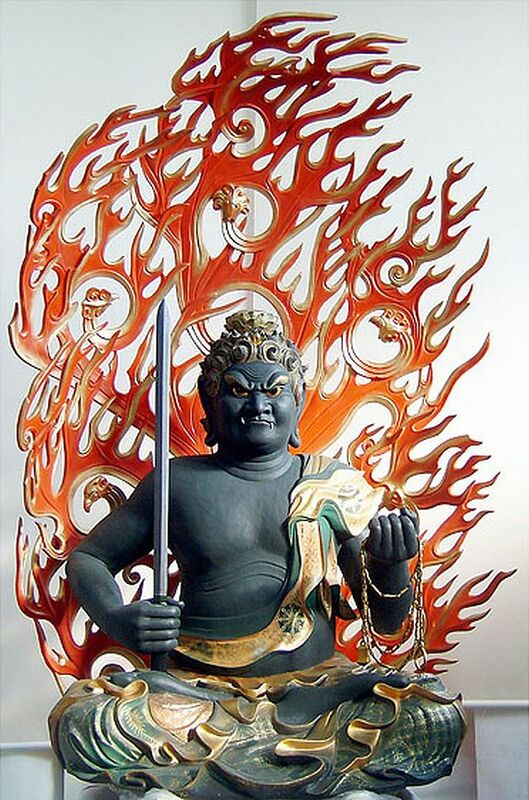 Wrathful form doesn’t mean that they are really angry, it means that they are largely use for protection. This photo was uploaded from Google images. 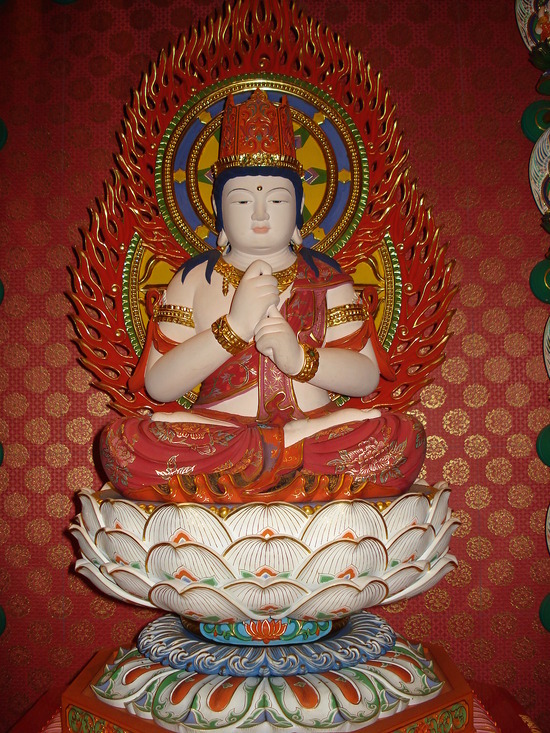 Figurine of Medicine Buddha or Kuan Kong. These two are optional. Figurine of Ksitigarbha Bodhisattva. It may be pretty difficult to get a figurine of Ksitgarbha Bodhisattva. What you can do instead is print his image, laminate it and put it on your altar. If you don’t have an altar, put them where the other images are. 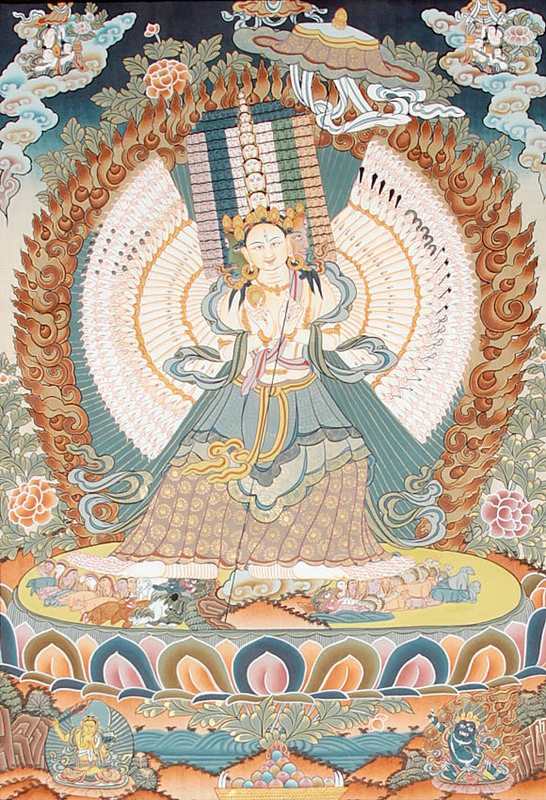 Put Four Dharmakaya Relic Mantras or Lama Atisha Amulet on all the doors and windows of your house that are facing the perimeter of your house (living quarters). If you find it difficult to find these, then the second best option would be to use Kalachakra stickers. Put a small bowl of rock salt in all the rooms of your house. THIS IS VERY IMPORTANT: FIX ALL THE FENG SHUI ERRORS OF YOUR HOUSE AS SOON AS POSSIBLE BECAUSE THE YIN EFFECTS OF ALL THESE FENG SHUI ERRORS ARE MULTIPLIED. Play mantras in all the rooms if possible. Recite both the Wish Fulfilling and Negative Karma Cleansing Mantra. Do the usual rituals for the Hungry Ghost Month that I’ve written about in the past. Try to make offerings at the temple or church or give to charity as often as you can. 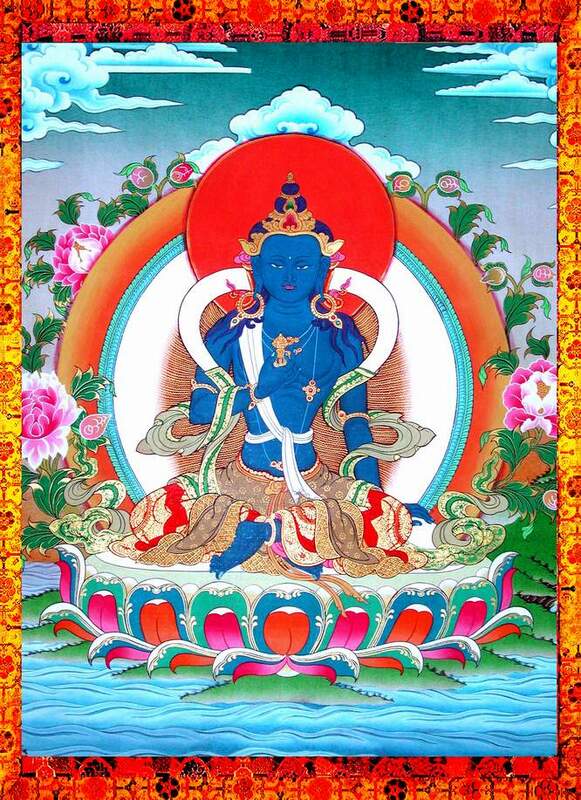 In reciting the mantra of Ksitigarbha Bodhisattva, it will be better if you gaze upon his image. Light some incense and read the following sutras as often as you can – MEDICINE BUDDHA SUTRA and KSITIGARBHA BODHISATTVA SUTRA, which is known as THE SUTRA OF PAST VOWS OF THE EARTH STORE BODHISATTVA. 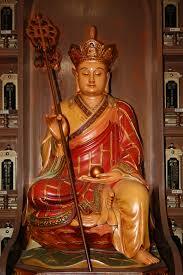 The sutra of the Medicine Buddha is in a blog post that I wrote about Him. Please see link below. 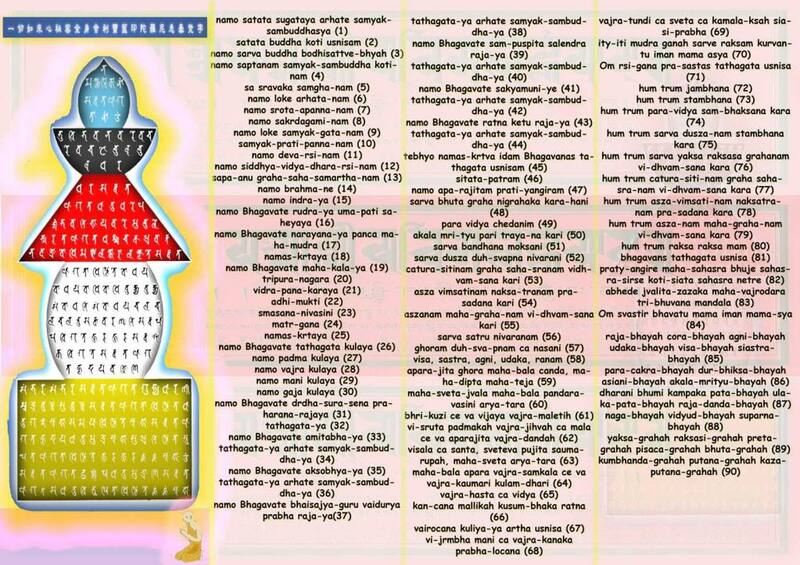 If you want a downloadable PDF file of the Sutra of Ksitigarbha Bodhisattva, please click Earth Store Bodhisattva and KSITIGARBHA BODHISATTVA SUTRA. The two versions are basically the same but slightly differ in the way it was translated. One of the difference is that in one of them Shakyamuni Buddha is simply called Buddha, which is is the more common term in addressing Shakyamuni Buddha is most of the Sutra translations. This is because it is widely accepted that all sutras that we have now are from the time of Shakyamuni Buddha. A sutra is basically a prayer and word of Buddha written in a story or conversation format. Avoid the usual things that one should avoid during the Hungry Ghost Month. For the Mercury Retrograde periods (June 7- July 1; October 4 – 25), wear an image of Kuan Kong or Kalachakra, and if possible, wear or carry with you a Prayer Wheel and spin it as often as you can. Optional for July 12 to Sept. 8 is also to wear the script of the Wish Fulfilling Mantra and the Negative Karma Cleansing Mantra. There are a lot of things mentioned on this post that for some might be hard to understand. For example what really is Hungry Ghost Month, which I didn’t discuss in detail in these 2 posts about the 2014 Hungry Ghost Month, or about Ksitigarbha Bodhisattva, Kuan Yin, four Dharmakaya Relic Mantras, etc. I humbly suggest for you to read some of my previous posts to make you understand things that were discussed here better, or why were such items recommended as a cure.